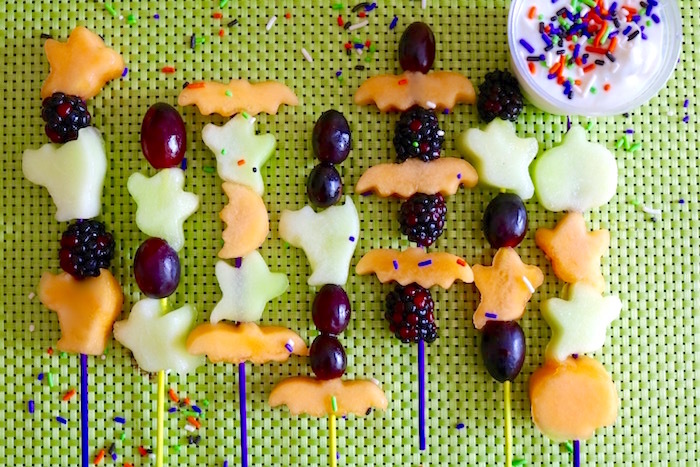 Seriously, how cute are these Halloween Fruit Kabobs? 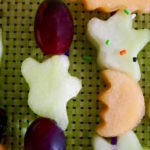 Fruit is one of the foods that a parent feels really good about giving their kids, especially at Halloween time. 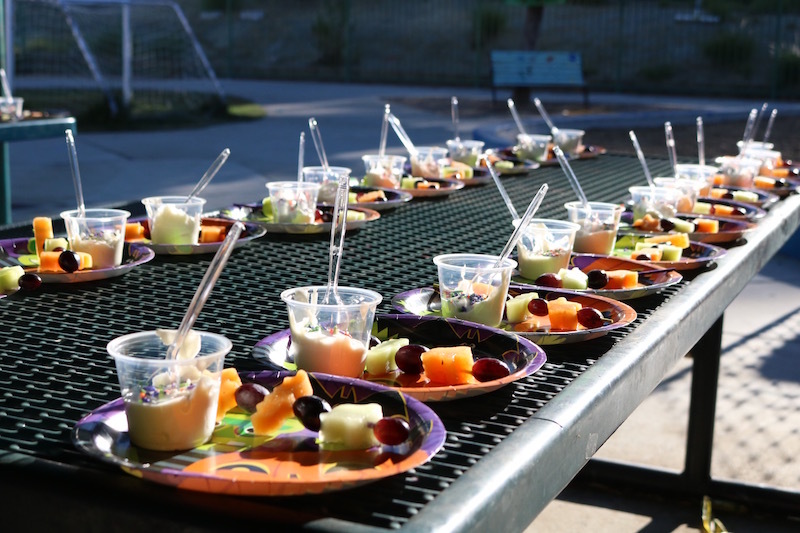 BLC had the opportunity to create a healthy snack at the kids school for the Journey’s & Kindergarten classes. 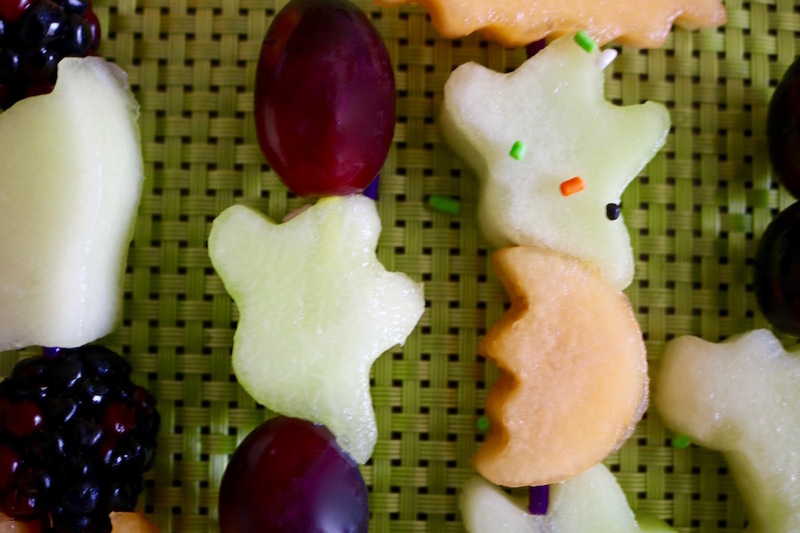 This included 117 little cutie pies, and we chose to make these Halloween Fruit Kabobs. 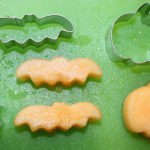 Our original idea was to use just the little mini ghost cutter, but when the cutters arrived it was hard to choose. 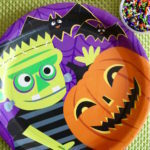 This set included a mini pumpkin, ghost, bat, cat, skull, and a half moon. We used them all! We were so happy this is the decision we made. 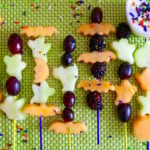 These Halloween Fruit Kabobs were such a hit that the kids were requesting more, and more. 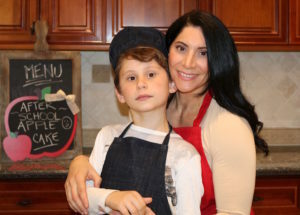 We even made a special batch for the teachers. It was worth it just to see the look on the teachers faces. 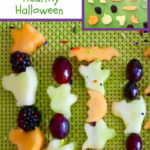 We should have named them Halloween Happy Kabobs, :-). You won’t need a lot of ingredients to make this, and you can put your own twist on it. 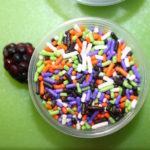 Add different types of fruit, yogurt, or even different color sprinkles. 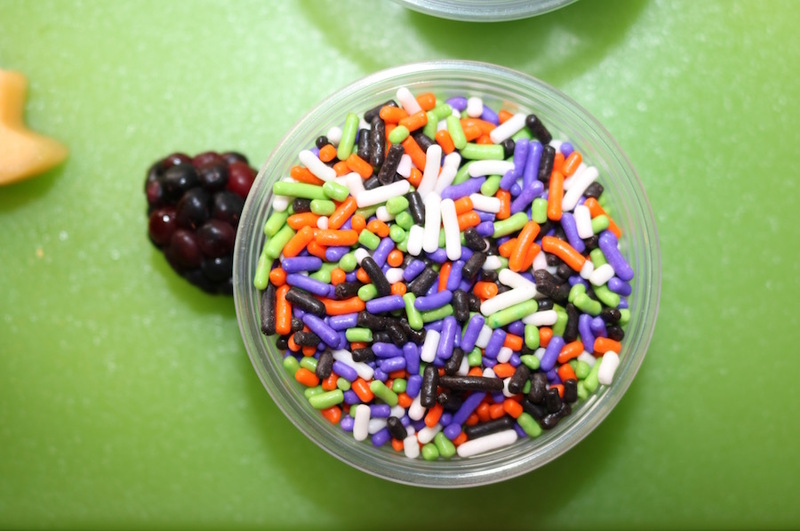 We used Greek vanilla yogurt, and added the festive sprinkles to the top. 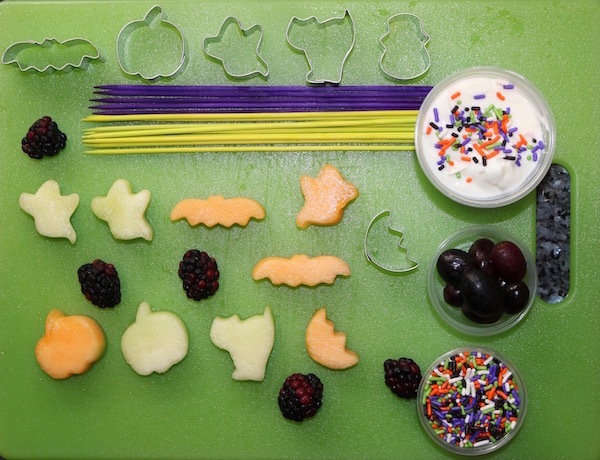 This way they could dip their fruit for an extra treat. I found these great purple, and green skewers which were the perfect color. 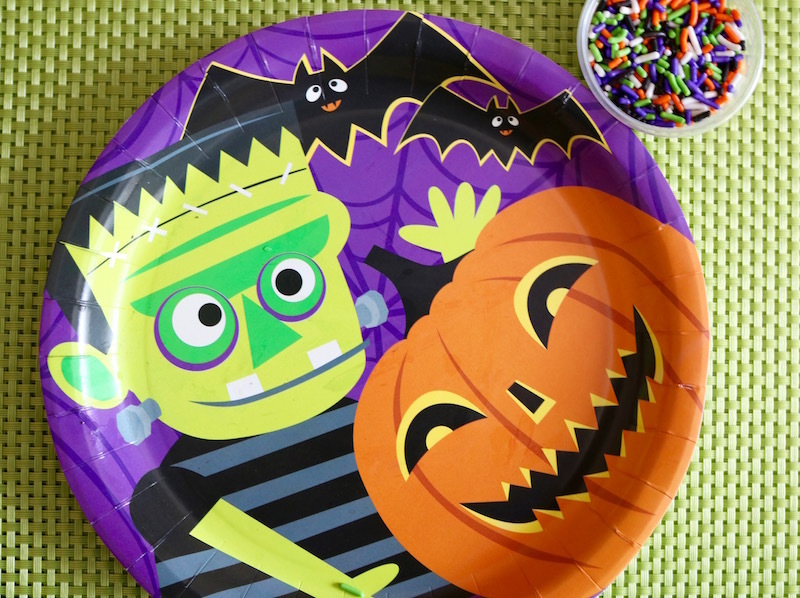 (link below) They added that extra special touch of Halloween color to the plate. 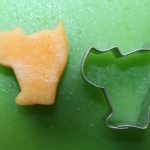 We cut the fruit across the middle to make the rings, but I soon realized cutting it from the top to bottom in slices gives you a wider space to work in. The pumpkin, and cat cutters needed a wider space, otherwise it cuts into the green a bit. That part doesn’t taste as good, it’s a bit hard. This is what the table looked like waiting for the kids to arrive. There were 6 tables set up for 117 hungry kiddos. 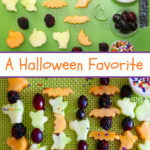 We’re so happy we did this as the Halloween Fruit Kabobs turned out amazing. We can’t wait for next year. 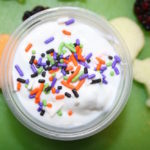 Check out more fun Halloween Treat Ideas! 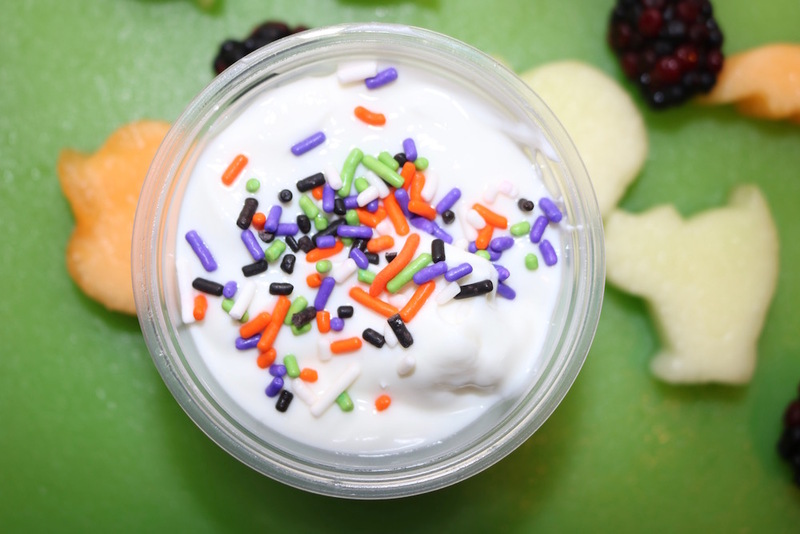 Scoop the yogurt into the cup, and add sprinkles to the top. Set aside. 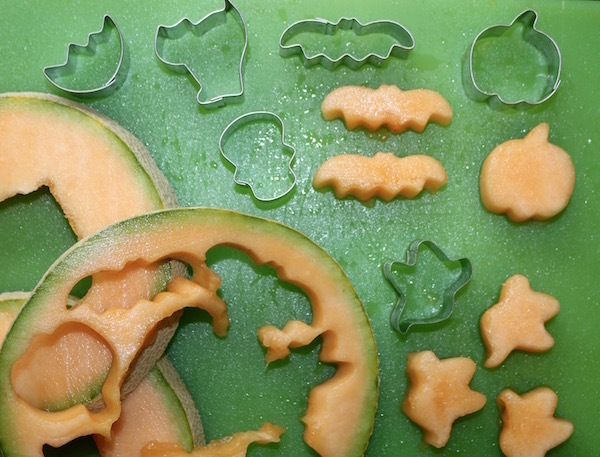 This is perfect for dipping the fruit. 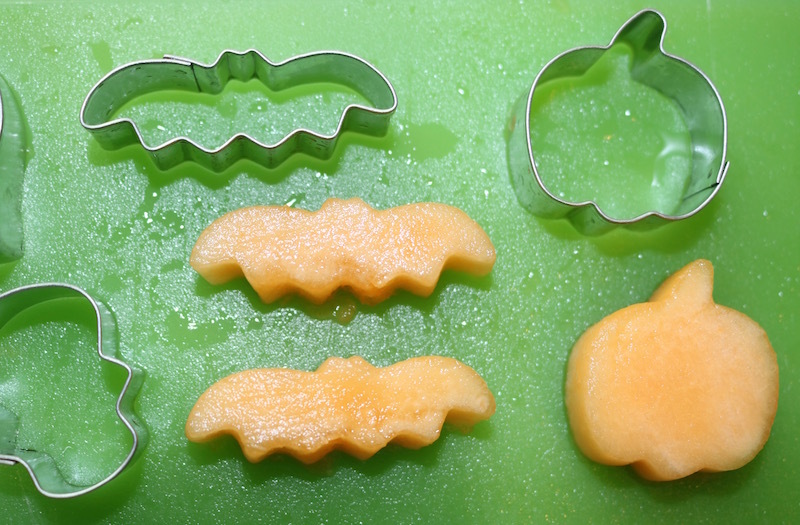 Next, slice fruit from top to bottom in 1/4 slices. Once you can see the seeds, scoop them out and discard. 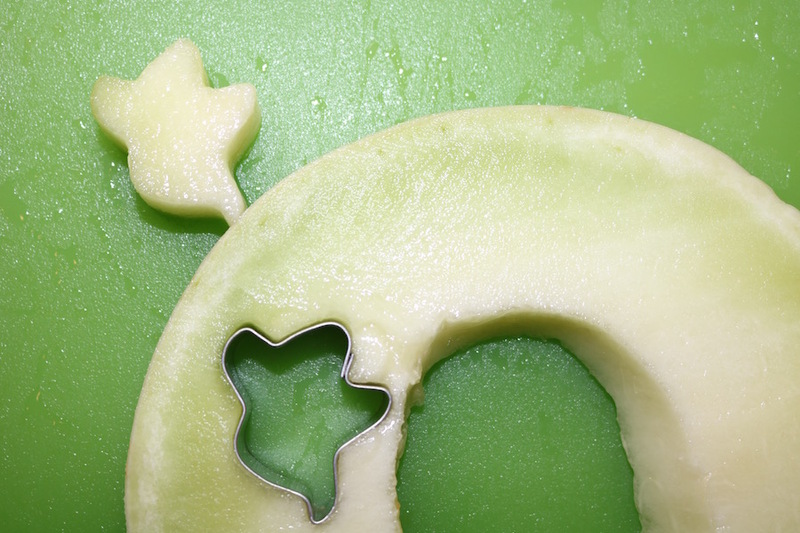 Continue slicing the fruit until complete. 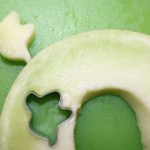 Place the cutters around the fruit pressing gently until the cutter goes all the way through the fruit. 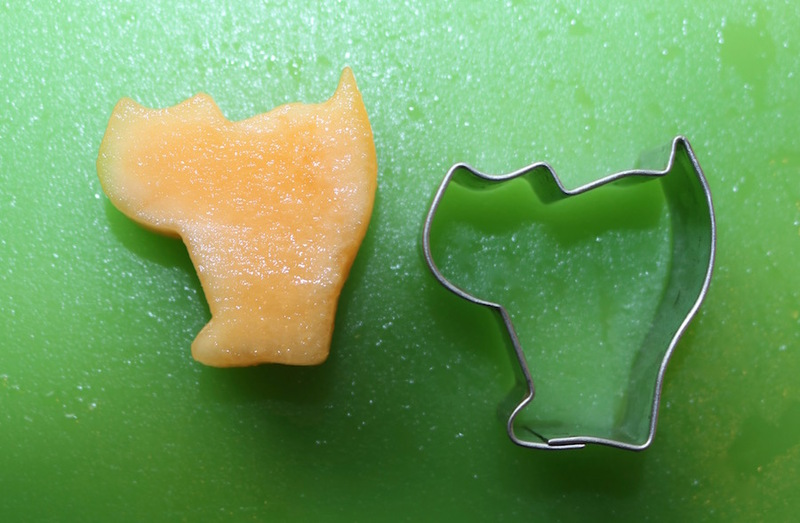 Press the fruit out, and continue until complete. Once you have your fruit cut, slide it down the skewer adding a variety of fruit the way you will like it to look.